Posted on November 2, 2015 November 2, 2015 by Bonnie McConaughyPosted in Fitness, Food, HealthyTagged Eating, Exercise, Fitness, Food, Health, Healthy, Losing Weight, Starting Over, Weight Loss. I think that the important thing to remember here is that you focus on the here and now. What happened has been and gone and cannot be changed. You are doing a fantastic job and never forget that…. make small achievable goals that are realistic and ensure that you remember to have some fun; find a puddle on your walk and jump in or take a camera and snap away. Borrow a dog if you don’t have one and enjoy the company. There are endless possibilities. Much love. Thank you! I don’t regret my birthday foods but it was hard combined with being sick to get back to normal afterwards! It’s good for the soul if not the body lol. This is exactly right, going back to basics is a great thing. I’m not a distance runner, but I am good friends with a marathoner, and she emphasizes that a strong core is essential to running to avoid injury. Never neglect your core! Thanks for the encouraging comment! I definitely agree with the core thing and need to work on it, along with the rest of it! Thank you so much! It is truly amazing how you can apply information like that in different ways! My condolences on the loss of your uncle. 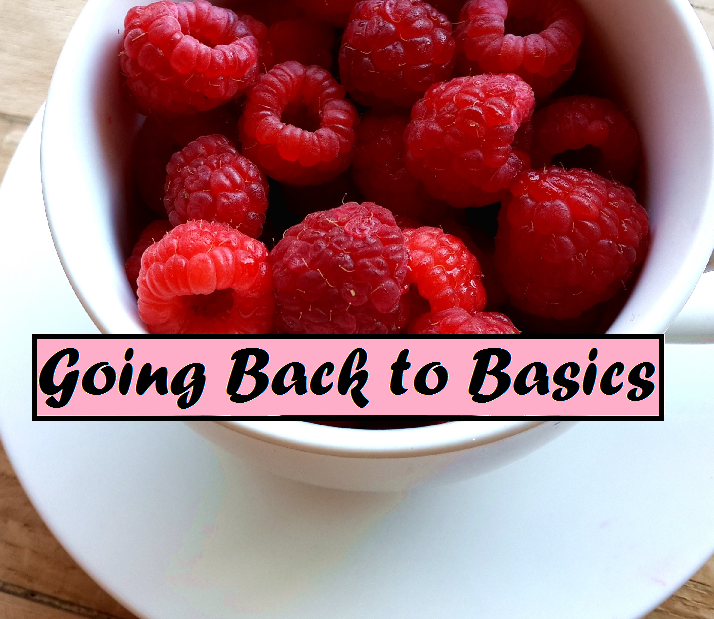 Yes going back to basics is a necessity when we get off course. This is a new month and you are back on course so just keep moving forward and don’t let anything get in your way. Your attitude is filled with forward movement and motivation so I know that you will be successful.